Safety in the UK construction industry is an issue that is gaining prominence. The Construction Industry Training Board (CITB)—the government body responsible for management of skills of construction workers in the UK—provides CSCS courses in order to equip workers with the knowledge and competence required to manage a safe construction site. SMSTS is a CSCS course that focuses mainly on legislative compliance requirements as regards safety and health on construction sites. The SMSTS is a useful tool for anyone looking to become a site manager, site supervisor, foreman or any other onsite designation that involves site management. Most employers will only consider employing a person to these positions if they are SMSTS certified. 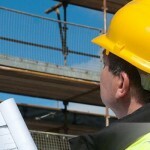 If you are looking to make a career in or advance in your career as a site manager, taking the SMSTS certification course will equip you with the requisite knowledge and understanding of your legal, clinical and social responsibilities as regards the welfare, health and safety of your supervises on construction sites. The SMSTS also focuses on aspects of management such as site setup, risk assessment, scaffolding and evacuation. A good level of written and spoken English is required to pass the SMSTS course. Candidates have to attend a 5-day certification course without fail. They will be expected to interact with other course participants and also complete test exercises set throughout the duration of the course. At the end of the 5-day programme, candidates will be expected to sit for an assessment test comprising of multiple choice questions. An SMSTS certificate valid for five years will be will be awarded to successful participants. SMSTS courses are run by a network of approved Course centres across the UK and costs of these courses vary among the various service providers. The course package often includes publications and books related to the course as well as lunch and refreshments all of which also factor into the cost. Naturally, the cost implications of the course would influence your choice of service provider but it is advisable to consider the quality of the knowledge you would be getting instead of looking at the cost alone. Generally, the standard rates for SMSTS courses varies for most centres in the UK. You can book SMSTS courses online or call us on 0207 199 9800 for information about CSCS courses in your vicinity.